Nearly everyone has had a “great” business idea. However, as mom says, “the devil is in the details,” and great businesses aren’t built on ideas, they’re built on successful implementation and follow through. To help you set up either your next side gig or start your next big venture, we’re excited to talk to Maria Aspan, Editor at Large for Inc. Magazine. She’ll discuss where to look for financing, the importance of a business plan (is it really important? ), how to ask family for money, when to include venture capitalists, and more. She’ll also share some fantastic success stories from people who’ve already accomplished what many of our listeners want to learn. 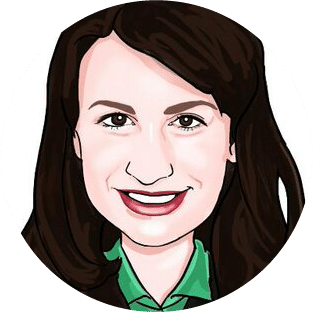 Plus in our headlines segment millennial money expert Stephanie O’Connell stops by the basement to discuss the new layaway alternative, Afterpay. Here’s how it works: pick out what you want today and pay for it later. Does that sound somewhat like a credit card? Stephanie breaks it all down during our interview. And in our second headline, Cardi B is speaking out against people who are taking jabs at her spending habits. She says she’s spending over $300,000 per month and can’t lower her bills any more. What’s her reasoning? We’ll jump into her personal financial issues and talk about responsibilities during our second headline. And in our Haven Life Line, Dustin has his investments for his son’s college in the market. With college quickly approaching, where should Dustin be moving his money? Then we’ll take a letter from Chris, who wants more information on the rule of thumb many of us have heard, of having a certain threshold of money saved by different ages. What was the first completely computer animated movie? Dustin’s son is about to go off to college. Dustin has $20k in the market for his son’s college. With the date coming up in a year or so… where should Dustin store the money for safekeeping? Chris has heard the “rule of thumb” about how someone should have an equivalent of their salary saved by the time they’re 30. Is that in a 401k, a Roth… what’s the real truth behind this?